It is a commonly held view that bisexuality does not, in fact, exist. Most people cannot fathom the concept of bisexuality, and bisexual individuals are often thought of as being promiscuous and mentally flawed. Being a victim of such prejudice can cause innumerable problems such as stress, anxiety and depression, and being socially ostracised can shatter self confidence. A counsellor or therapist can help deal with issues so that they may not lead to more complex problems. Emotional trauma and abuse can have a lasting impact on one’s life, it is therefore important to deal with it as early as possible. We may be living in the 21st century, but even today, there is discrimination in this world based on faith, race, gender, and sexual preference. Being openly gay may be difficult but in our society, it is easier and more acceptable than being bisexual. 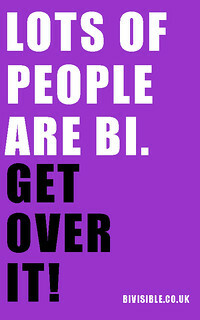 Bisexuality is something that can come under fire from both heterosexual people as well as gay people. It is often ridiculed and mocked as closet homosexuality, and some gay people view bisexual individuals with scorn as they are seen to be too weak to acknowledge their true sexuality. Many heterosexual people do not understand the concept of being bisexual and feel that it is flawed, as people can be either straight or gay. 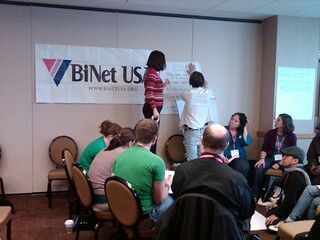 Bisexual people are therefore often accused of lying about their sexuality. Shockingly ugly stereotyping of bisexual people still exists in our society, and bisexual individuals are often labelled as being greedy, fickle, selfish, narcissistic, and incapable of fidelity. Portrayal of bisexuality in our culture is also deeply problematic and does not acknowledge bisexuality as a standalone entity. For instance, the portrayal of bisexual women is usually a mere offering for the male gaze, wherein the women are not engaging in their own sexuality but merely catering to male fantasy. Bisexual men on the other hand, are often portrayed as unstable, untrustworthy, and incapable of controlling their sexual urges. Can we just stop discrimination all together? Prejudice brackets people into one group and views them as a whole instead of seeing people are individuals. Being labelled as selfish, unstable and untrustworthy based on an arbitrary factor that one has no control over, can not only be traumatic but could have a serious impact on one’s sense of self worth. Victimisation creates feelings of hurt, pain, confusion, and anger, and one often does not understand how to deal with these feelings; so the feelings remain there and are channelled through negative actions and choices. The simple act of speaking to a counsellor or someone who understands can go a long way in dealing with these feelings. For someone who has been a victim of emotional abuse – and being discriminated against based on one’s sexuality is emotional abuse – it can be difficult to open up and be frank for the fear of being judged. A counsellor can open a dialogue in a non judgemental and open environment. When faced by a plethora of negative emotions and feelings, dealing with them can be overwhelming, but discussing them with a counsellor can help one deal with them by seeing them objectively.